This handy new accessory will help you to check the quality of nearly any telescope you come across in the future! 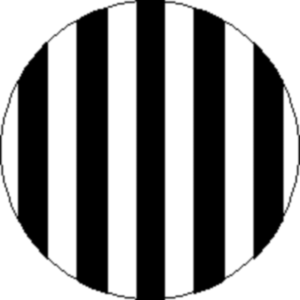 While it is true that optical aberrations can be determined by the star test, this method requires steady air and an experienced observer. The Ronchi test is far less demanding: It works within medium air and even beginners will be able to do a correct analysis of an instrument after a short period of learning! The Ronchi eyepiece consists of a metal body with a 1,25" shaft made of black anodized aluminium. It holds a tiny piece of glass with a grating on it. Some gratings from other manufacturers are made of exposed film or laser printouts: Those gratings will show inferior contrast and will be much more difficult to analyse! 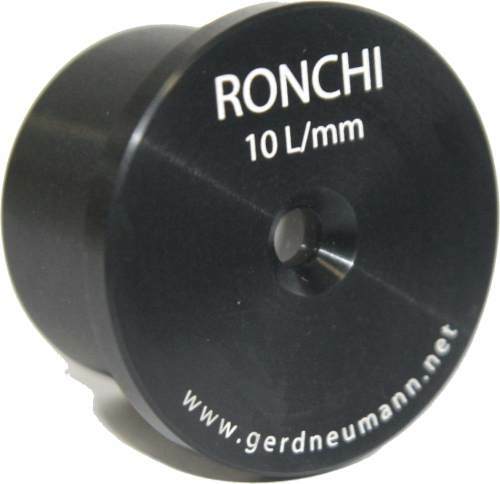 This Ronchi eyepiece is equipped with a vacuum metalized chrome on glass grating with 10 lines per millimeter. The grating is on the telescope side of the glass and is exactly in the same plane as the outer stop. The Ronchi eyepiece is shipped in a protective case with a short manual in English and German. The manual in German or English is available as a PDF file on request.